The French 75 is by far one of my favorite cocktails. A champagne and gin based drink created in Paris in 1915, I know you must be shocked. It was one of the first cocktails JD and I made when we decided that we could make our own at home and has not once disappointed. 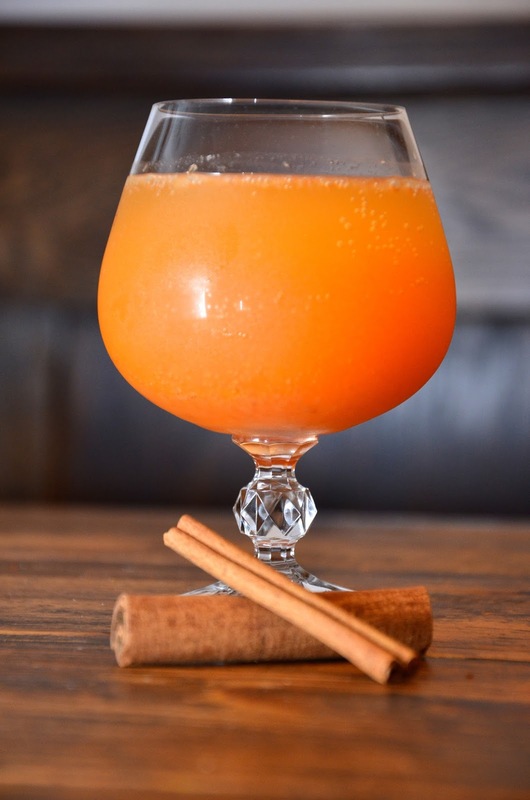 Since it is now October and I have given myself the go ahead to get a little pumpkin crazy, I thought it would be fun to add a little pumpkin to this classic drink. It was a good thought. The pumpkin flavor is subtle and blends nicely with the gin, lemon, and champagne (though we technically used prosecco). 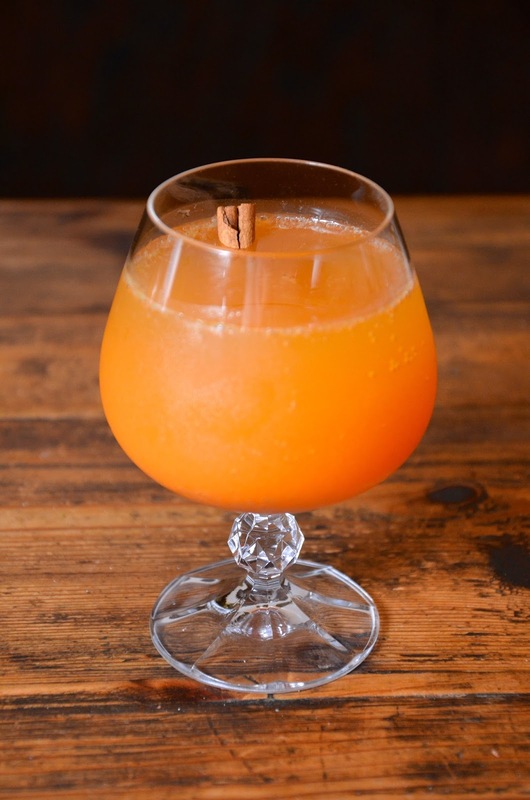 Add gin, pumpkin puree, lemon juice, and simple syrup to a shaker and shake with ice. Strain and pour into a glass (preferably champagne flutes which we were somehow fresh out of). Top with champagne and enjoy! 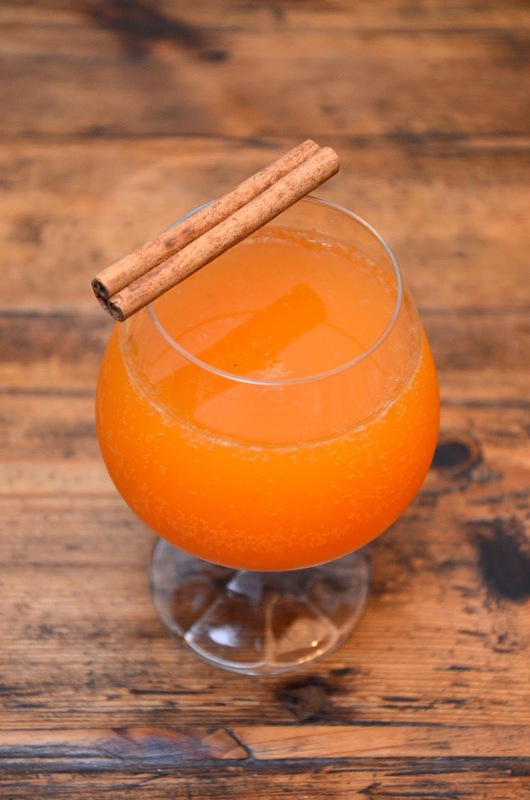 *A cinnamon stick is optional but if you're going to sip this one, it's nice to have for stirring as the pumpkin eventually begins to settle. I will certainly be making this again throughout the fall! The presentation of these alone makes me want to drink them!! Your cocktails are always the best!! Hope you have a great weekend! I LOVE the sound of this drink! I've never even heard of it but I love gin and pumpkin! Have a great weekend! Yum looks so so good!! I love your cocktail recipes, always so delicious! Wow, this glass is so attractive! Thanks for sharing this info!! This drink is perfect for my fall loving, pumpkin obsessed self. Glad I'm not the only one out there who loves pumpkin themed drinks. Thanks for sharing! Beautiful photos. You always make the best sounding drinks! I need to come to your house for happy hour :) Have an amazing weekend! This looks soooo good!! I need to try this asap! Thanks for the inspo!! Love seeing pumpkin flavors in unexpected foods! This looks amazing! Thanks for sharing the recipe. I just loaded up on pumpkin puree at the supermarket and will definitely have to try, the color is just beautiful. So glad to have found your blog on blog lovin! Looking forward to more recipe posts . Nothing better than pumpkin during fall! This seems really delicious.